According to industry sources, AMD plans to launch its family of Ryzen 5 processors on April 11, the family focused on ” gamers who play at 1080p resolutions.” Obviously, if you run games at 2K and 4K it will serve equally coupled with high-end graphics card. It should be remembered that this family is made up of four models: two 6 cores and 12 threads together with two 4 cores and 8 threads, the latter promising great performance at low cost in a market where for now games only utilized 4 real cores. 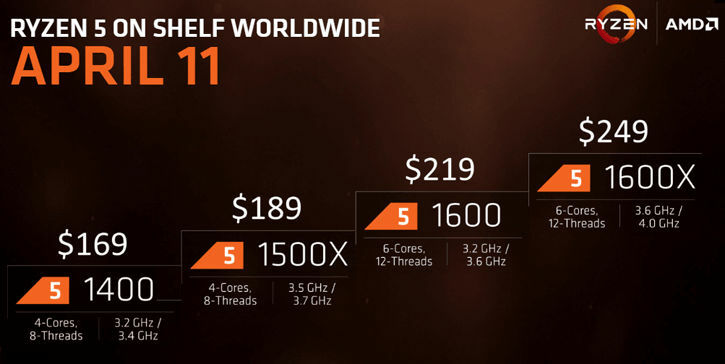 The Ryzen 5 1400 would be accompanied by the Wraith Stealth (quiet) heatsink, while the Ryzen 5 1500X and Ryzen 5 1600 will use the Wraith Spire. Hoping that the Ryzen 5 1600X would not include a heatsink. 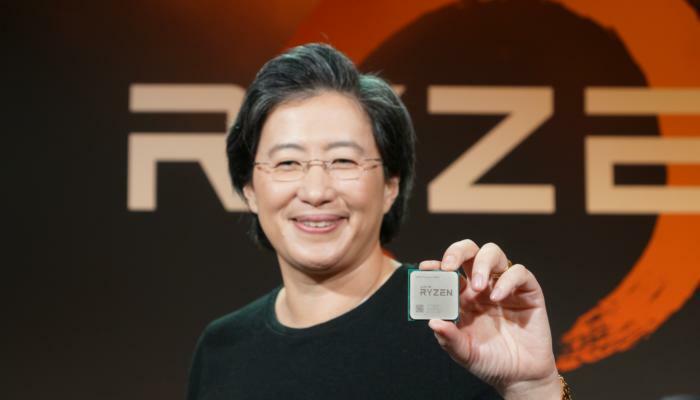 AMD is aware of the great interest for Ryzen CPUs, that’s why in March the company will ship no less than 1 million Ryzen 7 processors to meet the demand. On the other hand, tomorrow AMD Technology Summit 2017 will take place in China, where AMD is expected to show new performance tests of its AMD Ryzen CPUs accompanied by an unknown VEGA GPU. In addition to the new graphic cards Radeon RX 500, the Radeon Instinct for deep learning and new details about company’s high-end graphic architecture, VEGA.